It’s no secret that I love Rhubarb, a love that has been passed down from my Dad and his parents too. 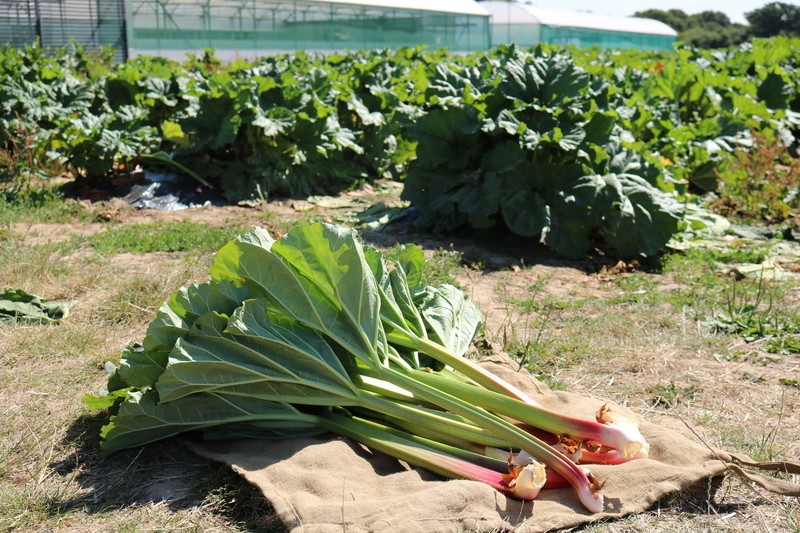 However, we haven’t had much luck growing any rhubarb this year due to my Dad moving his 5 crowns and mine are still too young to be picking from yet. 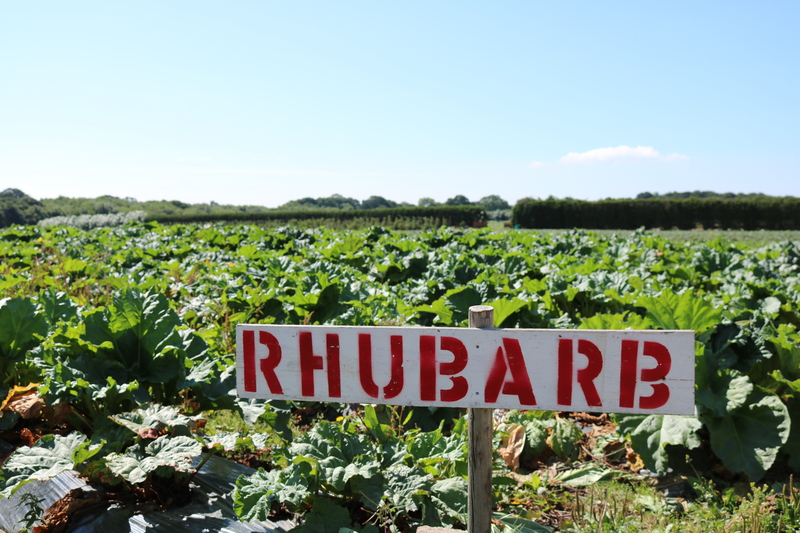 Therefore we decided to head off to our local pick your own farm to stock up on rhubarb and we were a bit spoilt for choice! 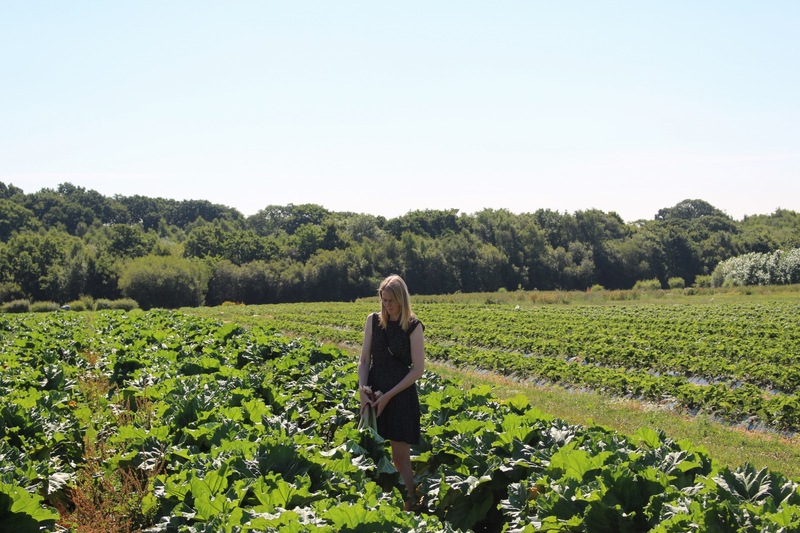 There were rows and rows of rhubarb for the picking as far as the eye could see so both me and my parents filled up our trugs with lots of beautiful stalks. I knew exactly what I wanted to make with my bunch and that was some rhubarb gin. I am a secret gin lover and usually enjoy a drink of gin and lemonade with a splash of homemade elderflower cordial in the summer months. However, seeing as I love gin and rhubarb I thought I better make some to try and the recipe is so easy and simple to make. 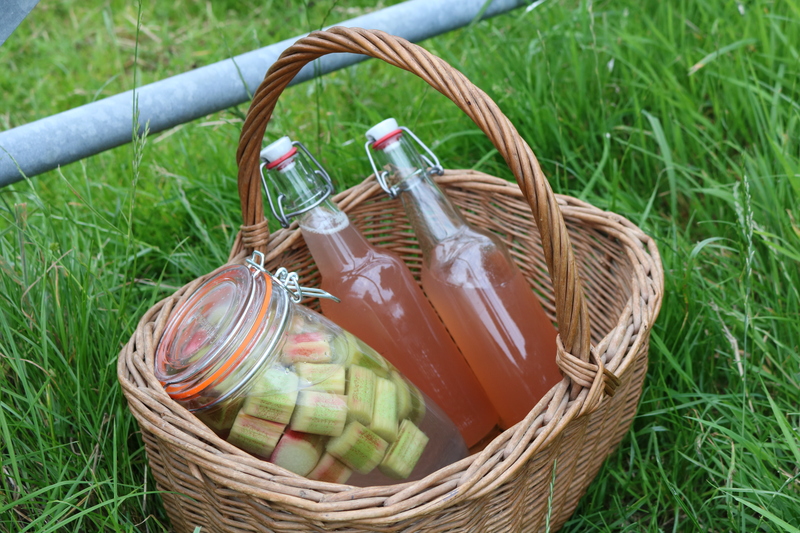 It just so happened that I had quite a few stalks left over which I made into some rhubarb cordial. 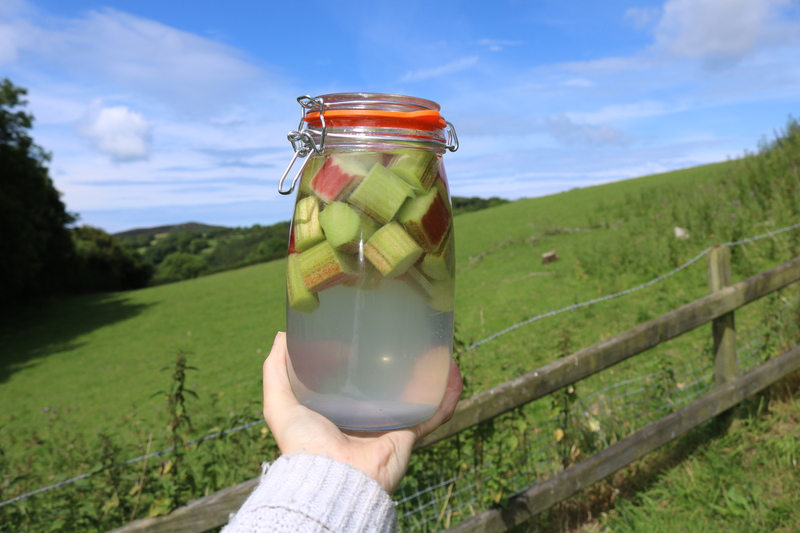 I didn’t get round to making any elderflower cordial this year which I just love, so yet again rhubarb comes to the rescue! 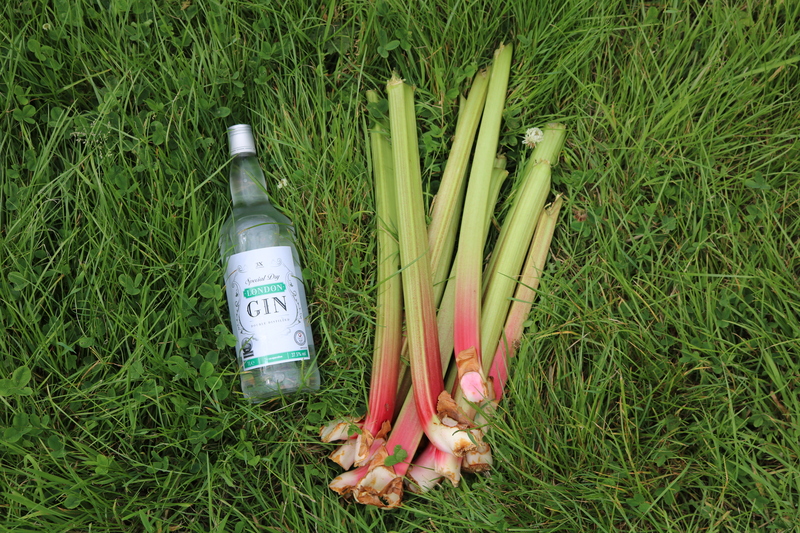 Chop the rhubarb into roughly 2cm pieces, the redder the rhubarb the more pink your finished gin will be. Put the rhubarb into a 1.5 litre jar, add the sugar and the gin. Make sure the jar is sealed and then give it a good shake until the sugar dissolves. Leave in a cool, dark place for a couple of weeks then sieve and bottle it up. Perfect served with lemonade and why not add a splash of elderflower cordial too! Place the water, sugar and rhubarb into a saucepan and bring to the boil. Reduce the heat and simmer for 20 minutes until the rhubarb has fallen apart. Pour the mixture through a muslin cloth and bottle it up. Perfect for mixing with lemonade as a refreshing drink, making into a jelly or as an ice cream sauce. Enjoy! 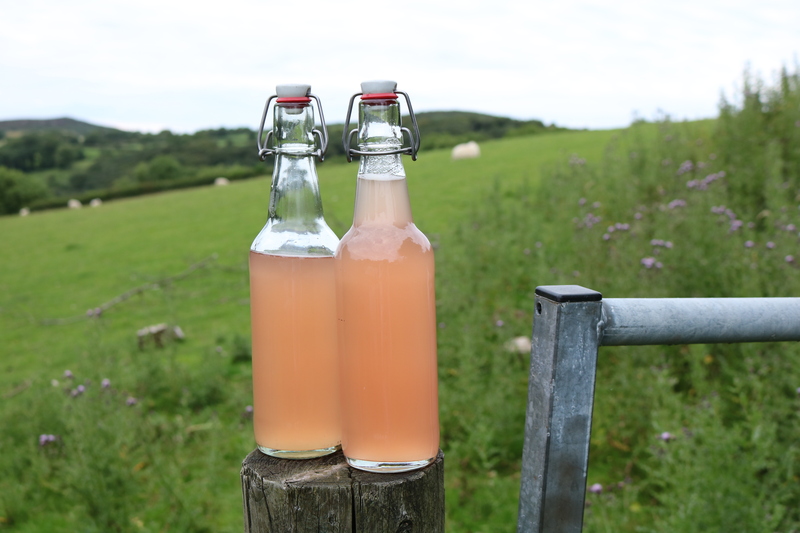 Rhubarb gin? I was skeptical at first, but after reading thru, I’m convinced– rhubarb gin and lemonade in the shade on a Summer’s day.